Essential oils are known for their rapid results. They quickly enter tissues and cells to support healthy cellular and organ function. But just how quickly do they enter tissues after different administration methods? Research into the distribution of essential oils after administration (topical, oral, and inhalation) is limited, but it is generally accepted that they are distributed similarly to fat-soluble drugs. Essential oils molecules do not distribute to organs throughout the body in the same quantities and ratios. 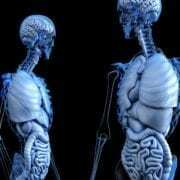 (1) Instead, essential oils molecules will tend to distribute to fatty tissues (brain, nervous, and liver tissue) and move more slowly to adipose tissue, which has a reduced blood supply. It is interesting that essential oils first seek to distribute to cells and tissues vital to life (nervous system and liver tissue). By doing so essential oils can profoundly influence health because the nervous system is the primary controller of myriad body functions. The following is a brief overview of how quickly essential oils enter body tissues after topical application and inhalation. So it is clear that essential oils are rapidly absorbed or distributed to tissues that are vital for optimum health. Regular use of essential oils (what I call an aromatic lifestyle) leads to cell, tissue, and organ support. This allows the whole person to thrive. 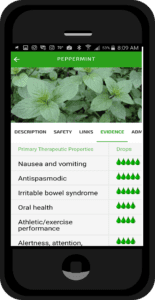 Students of the Mastering Essential Oils Certification course also have access to videos demonstrating essential oil absorption and distribution (for oral, topical, inhalation, and vaginal/rectal administration) via the included app. 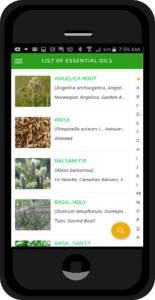 Evidence-Based Essential Oil Resource app is an authoritative resource on the clinical use of essential oils that includes information for over 100 botanical species of essential oils. 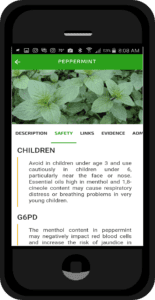 The intent of the database is for professionals and laypersons to evaluate the evidence in support of essential oils for specific aspects of human health according to the strength of the available evidence. In addition, drug interactions, contraindications, and safety information is shared for each essential oil. For best results, this database should be used in conjunction with the book Evidence-Based Essential Oil Therapy, which contains comprehensive information regarding the safe and effective use of essential oils. This book provides the insight and evidence necessary for one to use essential oils as part of an integrative approach to medicine, including safety information, dosing, administration methods, and known drug interactions and cautions. 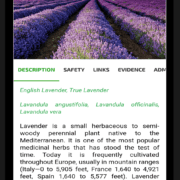 and links to the supportive research used to determine the essential oil’s rating and safety. Download the resource every serious essential oil user and clinician should have today! Salicylate Sensitivities and Essential Oils: What you need to know! A common question I am asked is whether people need to avoid all essential oils if they have a salicylate sensitivity (SS). 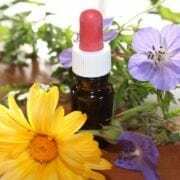 A number of blogs and websites include essential oils as something to avoid with SS, and many of these advocate avoiding essential oils completely. Hopefully, this post will help clear up the confusion and misinformation that is so widely spread on the internet. Salicylates are naturally occurring compounds found in many plants, foods (nectarine, kiwi, blackberries, blueberries, asparagus, carrots, celery), spices (black cumin, paprika, thyme), herbs, medications (pain relievers, both topical and oral), fragrances, and other products. Plants produce salicylates to protect them against predators and diseases. 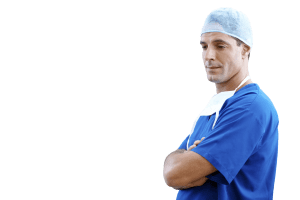 What is a salicylate sensitivity or salicylate intolerance? Most people can handle the amounts of salicylates found in foods and other products without any adverse effects. It typically takes very large doses of salicylates to harm the average person. However, for those with a sensitivity or intolerance to salicylates, even a small amount can cause a severe reaction. These effects can be cumulative, meaning that a salicylate sensitive person may be able to tolerate small amounts of salicylates, but over time this build-up causes symptoms from excessive exposure. It is believed that only a small portion of the population is sensitive to salicylates, but some people with co-occurring conditions may be more likely to experience this unpleasant condition. What are the symptoms of salicylate sensitivity? 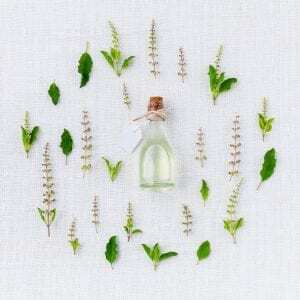 What essential oils have salicylates? As reported in Evidence-Based Essential Oil Therapy, both birch and wintergreen contain significant amounts of methyl salicylate (a compound similar to aspirin), usually over 95%. These essential oils should obviously be avoided through any method of administration by those with SS. In addition, a few other essential oils have from 0.5% to 15% methyl salicylate: ylang ylang from Madagascar (I and II), clove bud, and clove stem essential oils. These essential oils should be used cautiously or not at all by people with SS. The same would go for any blends that contain high salicylate essential oils. While the majority of essential oils contain no salicylates, minor salicylates, such as benzyl salicylate and ethyl salicylate, may be present in a limited number of essential oils. These salicylates are usually only present in trace amounts, perhaps not even enough to cause a reaction. If you have a severe intolerance or have been advised by your health care professional to avoid salicylates you would need to review a full GC-MS analysis of each essential oil’s composition before use. Once you have the GC-MS, you would need to review the report for any salicylate constituents. As you can see, only a handful of essential oils contain enough methyl salicylate (or other salicylates) to be of concern. It is irresponsible to forbid all essential oils and forbid people with SS the opportunity to benefit from EOs just because of a few outliers that contain appreciable levels of salicylates unless a severe intolerance to salicylates exists. However, people who experience symptoms after using an essential oil that contains salicylates should consider avoiding them. Those with SS should carefully read product labels (looking for the offending essential oils) to determine if they should use products that contain essential oils. 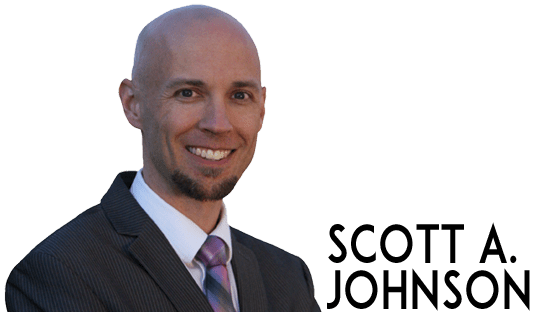 http://authorscott.com/wp-content/uploads/2017/01/natural-medicine-1738161_1280-1.jpg 1048 1280 Scott A. Johnson http://authorscott.com/wp-content/uploads/2016/06/Left_header_4.png Scott A. Johnson2017-01-02 22:29:332019-02-24 21:33:41Salicylate Sensitivities and Essential Oils: What you need to know! Parenting isn’t for the weak. 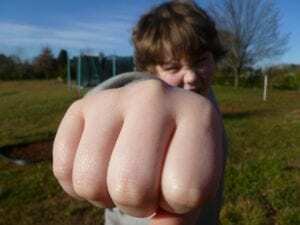 Childhood is fraught with bumps, bruises, injuries, and illness. 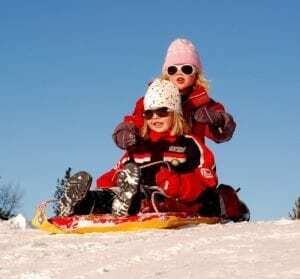 But the savvy and well-equipped parent can handle many of the situations that require first-aid at home with the right remedies and knowledge from a book. Parents are the first responders for their child’s health and so they need to be prepared for these situations with a few must-have blends of essential oils. Essential oils are ideal options for child first-aid care because they are safe, effective, and easy to use. Fill the rest of the bottle with your favorite carrier oil. FCO, aloe vera, grapeseed, sweet almond, and apricot are good choices. How to use: Apply to the bump or bruise 3-5 times daily until healed. How to use: Cleanse the are with soap and water. Apply widely around the cut (applying directly to the cut may sting) 2-4 times daily until healed. How to use: Apply to the spine and bottoms of the feet 3-5 times daily until feeling better, and continue 1-3 times daily for three additional days. How to use: Apply to the chest and back every 30 minutes for the first four hours, then every two to four hours until recovered. Continue applying 1-3 times daily for an additional three days. Fill the rest of the mister bottle with aloe vera juice. How to use: Apply 1 drop of neat (undiluted) lavender (children ages 2 and up; use the mister bottle for younger children) to the affected area and then spray with the mister bottle. Spray the area with the mister bottle as needed throughout the day. Do you know the anti-aging benefits of essential oils? We are just beginning to understand the anti-aging benefits that essential oils provide. Discover 5 scientifically proven anti-aging benefits of essential oils in this short quiz. 1. Telomere length is a key to the healthy lifespan of cells. Which of the following essential oils are known to elongate shortened telomers? 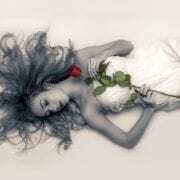 Each of the oils, and some others, demonstrate the ability to increase telomere length. Recent exciting research has discovered that some essential oils inhibit the protein involved in shortening telomeres (See Synergy, It’s an Essential Oil Thing for more information). 2. Which of the following essential oils are known to preserve telomere length, therefore expanding the cells healthy lifespan? All of these essential oils, and some others, preserve the healthy lifespan of cells by preserving telomere length. 3. Which common compound widely distributed in essential oils activates the Nrf2 protein, which can determine longevity and protect against age-related diseases? Citral enhances Nrf2 activation. Nrf2 is a potent protein found within all cells (but particularly in the liver and kidneys) that acts as the master regulator of the cellular antioxidant system when activated by AREs (antioxidant response elements). Once triggered, Nrf2 activates over 200 genes that metabolize drugs and toxins, protect against oxidative stress, remove damaged proteins, and normalize inflammation. It also interacts with other cells that together determine longevity and protect against age-related diseases like cancer and neurological disorders. 4. Elastase is an enzyme involved in the breakdown of elastin. Which of these essential oils is known to inhibit elastase activity, which may lead to tighter, more supple and flexible skin? A number of essential oils, including juniper, reduce elastase activity. This suggests they could reduce the appearance of skin aging and wrinkles. 5. Which of the following essential oils reduces the appearance of wrinkles and aging according to preclinical research? Frankincense reduces wrinkles and aging of the skin according to research with animals. 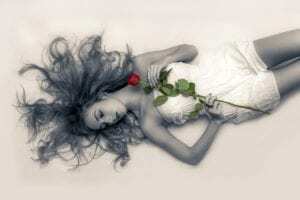 http://authorscott.com/wp-content/uploads/2016/09/young-girl-531252_1280.jpg 853 1280 Scott A. Johnson http://authorscott.com/wp-content/uploads/2016/06/Left_header_4.png Scott A. Johnson2016-09-01 14:06:282016-09-01 14:06:28Do you know the anti-aging benefits of essential oils? Let’s face it. We live in a toxic world where exposure to harmful chemicals regularly occurs. These chemicals are pervasive in our air, water, and the products we use on our bodies and in our homes every day. It really isn’t realistic to avoid toxins in today’s world, but we can mitigate their harmful effects and reduce exposure to them through some reasonable actions and the use of essential oils. 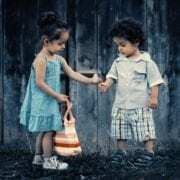 In a new report, Project TENDR: Targeting Environmental NeuroDevelopment Risks, released July 1, 2016, dozens of scientists, health practitioners, and child advocates seek to draw attention to the damaging effects of chemicals to children. They particularly point out the host of chemicals that endanger child brain development. Some of the chemicals this panel is concerned about include lead, mercury, organophosphate pesticides, phthalates, flame retardants, and air pollutions produced by burning wood and fossil fuels. The human brain continually develops into early adulthood, but the largest growth occurs during gestation when neurons are forming, migrating, maturing, and differentiating into specialized nerve cells. If exposure to chemicals disrupts this process, permanent brain damage can occur. In addition, the endocrine system is intimately involved in every aspect of brain development through the production and release of thyroid hormone. 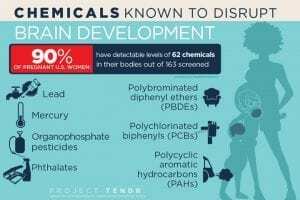 Many of these chemicals are known to disrupt endocrine system function (called endocrine disruptors), which puts developing babies at risk of reduced neuron formation, and reduced myelination of nerve cells. Reduced myelination is associated with developmental delays and behavioral disorders. Black pepper essential oil prevents chemicals from bonding to DNA, which may reduce the risk of cancer. Geranium essential oil has been shown to protect neurons from toxicity caused by excess zinc. Inhalation of lavender essential oil protects neurons from degeneration by increasing antioxidant levels and activity. Lemongrass essential oil reduces the death of neurons caused by glutamate toxicity. Take the steps today to reduce the toxic chemicals in your home, replacing them with natural essential oil-infused homemade products. And continue your aromatic lifestyle to realize the virtually unlimited health potential of essential oils. For more information about the harmful effects of chemicals and how to encourage normal cleansing and detoxification read my book Surviving A World Overwhelmed with Toxins, which includes a remarkable 48-hour cleansing protocol. Instructions: Fill an empty foaming soap dispenser with 5 ounces of water. Then add the other ingredients in the order listed and shake vigorously. Use each time hands are washed. For more essential oil recipes like this, see Synergy, It’s an Essential Oil Thing. Put your essential oil safety knowledge to the test. 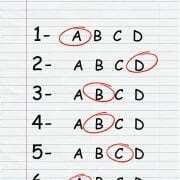 Can you answer all six questions correctly? The answers are based on current evidence and our current understanding of essential oils. Then compare your results with your friends. Health professionals, scientists, and world leaders are growing increasingly concerned as bacteria continue to build resistance to front-line antibiotics at an alarming rate. This concern was brought to the forefront by Professor Mark Woolhouse, of the University of Edinburgh, and Dr. Jeremy Farrar, director of the Wellcome Trust, at a 2014 event hosted by the Royal Society in London. During the even Woolhouse and Farrar outlined the need for a rapid and immediate global response to the superbug crisis in order to prevent simple infections from becoming deadly. In addition to presenting their recommendations at the event, the study authors published their commentary on this frightening crisis online May 22, 2014, in the journal Nature. (1) In this study, the authors point out that overuse and misuse of antibiotics in humans and animals has fueled a rapidly accelerating fire of antibiotic resistant germs. The authors specifically mention physician’s go-to drugs for Salmonella typhi (a bacterium that causes typhoid), Mycobacterium tuberculosis (a bacterium that causes tuberculosis), methicillin-resistant Staphylococcus aureus (a bacterium associated with pneumonia, heart, bone, would, organ, joint, and bloodstream infections), multidrug-resistant Escherichia coli (a bacterial cause of diarrhea, anemia, and kidney failure), and Klebsiella pneumoniae (a cause of bacterial meningitis) are now largely ineffective. The number of “Superbugs,” or bacteria that have adapted to become resistant to treatment with first-line antibiotics, has been growing at such a rapid pace that the treatment of many infectious diseases is reliant on only one or two drugs. Some strains of infections have even become resistant to all known classes of drugs. And without a viable remedy for superbugs, many current medical and surgical procedures would be impossible to perform and potentially deadly. This all adds up to a serious threat to public health. These facts led the study authors to recommend the formation of a global organization to direct an international response. They assert that without a united effort to this worldwide concern one country’s actions could have universal ramifications. For example, the use of antibiotics is increasing in most developing countries due to unregulated, over-the-counter sales of antimicrobials of all kinds according to the authors. It’s no surprise that nations with the strictest policies on antibiotic prescriptions (Scandinavian countries) have the lowest superbug rates. The study authors further state that the international response to the crisis thus far has been meager and ineffective. 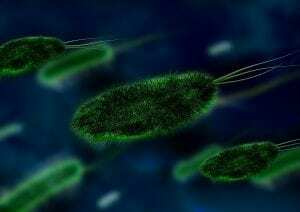 According to the study, the development of new therapies should be accelerated to prevent further resistance and combat existing superbugs. Mounting evidence suggests that the superhero of the superbug crisis may be pharmaceutical-grade essential oils. These potent botanical extracts possess substantial antibacterial properties — including against drug-resistant strains — proven by numerous studies. While scientific research surrounding the ability of essential oils to kill and prevent the spread of superbugs is continuing to accumulate, the medical community has been reluctant to integrate natural alternatives to combat this alarming crisis. Most of this boils down to money. Natural essential oils are not patentable, and therefore don’t provide windfall profits to greedy pharmaceutical companies. Because of this they continue to search for molecules they can isolate from plants and synthesize in a lab to create new drugs, rather than embrace the viable option right in front of their face. Even more important than killing superbugs, evidence suggests that these menacing microbes are not able to adapt to essential oils and become resistant. This is largely due to the fact that essential oils naturally have varying percentages of the dozens to hundreds of constituents they contain. Therefore, the superbug is not exposed to an identical essential oil each time, thwarting its ability to adapt. Quite the opposite is true with synthetic drugs that produce the same molecular structure consistently, allowing for easy adaptation by bacteria. A July 2012 study published in the journal Expert Review of Anti-Infective Therapy concluded that according to published research essential oils and their constituents are effective against many species of resistant bacteria. (2) Another study from the June 2013 edition of the Journal of Cranio-maxillo-facial Surgery reported that some common essential oils (lemongrass, tea tree, and eucalyptus) are consistently effective against multi-resistant bacteria associated with hospital-acquired infections. (3) This last fact is crucial for life-saving surgeries and procedures to be performed without acquiring a secondary infection that could be lethal. Other studies suggest that certain essentials oils could potentiate the action of antibacterial drugs when used concurrently. Scientific research suggests that eucalyptus, cinnamon, lemongrass, oregano, tea tree, thyme and other essential oils warrant further investigation as potent antibacterial agents to prevent the further spread of superbugs. These clinically significant essential oils should be immediately employed in healthcare settings to combat the superbug crisis, and individuals should regularly use these essential oils to cleanse their environment and bodies. Until the medical community, world leaders and scientists embrace these proven remedies the world will continue to travel down the path towards scraped knees becoming deadly. Get your essential oils ready and be prepared to survive when modern medicine fails. (1) Woolhouse M, Farrar J. Policy: An intergovernmental panel on antimicrobial resistance. Nature. 2014 May 29;509(7502):555-7. (2) Kon KV, Rai MK. Plant essential oils and their constituents in coping with multidrug-resistant bacteria. Expert Rev Anti Infect Ther. 2012 Jul;10(7):775-90. (3) Warnke PH, Lott AJ, Sherry E, et al. The ongoing battle against multi-resistant strains: in-vitro inhibition of hospital-acquired MRSA, VRE, Pseudomonas, ESBL E. coli and Klebsiella species in the presence of plant-derived antiseptic oils. J Craniomaxillofac Surg. 2013 Jun;41(4):321-6. Diffusing essential oils: Harmful or beneficial to human health? Hundreds of thousands of people enjoy diffusing essential oils daily to improve mood, relax, and create a more pleasant environment. But, a growing number of consumers are concerned that this practice may be harmful based on widely publicized reports that terpenes found in essential oils may interact with constituents in the atmosphere (carbon dioxide, methane, ozone, etc.) 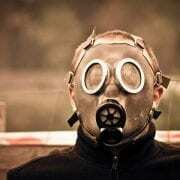 to form toxic oxidation products. Is this concern warranted or just hype from those who don’t believe essential oils have a place in the home? Evidence suggests that terpenes in essential oils (limonene, alpha-pinene, linalool, etc.) are not harmful by themselves. 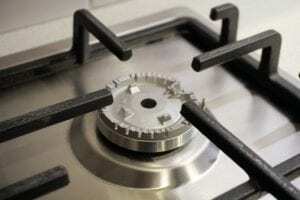 However, their structure — comprised of one or more carbon to carbon bonds — makes them extremely susceptible to reactions with atmospheric constituents. (1,2) When these reactions occur, toxic oxidation products are produced such as formaldehyde, acetaldehyde, organic acid, and hydrogen peroxide, which are called hydroxyl radicals and secondary organic aerosols (SOAs). (3-6) These oxidation products can be harmful to human health. Short-term exposure to oxidation products may cause sensory irritation, headache, dizziness, chest pain, and respiratory problems. (7-9) Children, the elderly, people who are obese, diabetics, and people with chronic respiratory disorders are more likely to experience these adverse health effects. The risk of reactions between terpenes and atmospheric constituents is dependent on temperature and the amount of ozone present indoors. Reactions are more likely to occur in warm seasons when temperatures are higher as opposed to the colder temperatures of cold seasons. (10) In addition, higher levels of ozone provide more atmospheric constituents for essential oil terpenes to react with. Indoor ozone quantities can increase based on the amount of ozone present outdoors or use of certain equipment (laser printers, photocopiers, and some air cleaning units). Limonene (found in two isometric forms: d-limonene — citrusy scent and found in citrus oils; and l-limonene — piney scent and found in tree oils) is more susceptible to these reactions than other terpenes like linalool. This suggests that essential oils with significant amounts of limonene may require more caution when diffusing, particularly during warm seasons and when the presence of ozone is elevated. To identify some essential oils with high limonene levels see Appendix A of Evidence-Based Essential Oil Therapy. Synthetic terpenes are often used in cleaning products as scents and solvents. One study determined that the ordinary use of terpene-based cleaning products (typically synthetic limonene, not the limonene naturally found in essential oils) will not produce enough terpene reaction products to exceed safety levels set by regulatory agencies. (11) In other words, use of these cleaning products under normal circumstances is not likely to produce enough oxidation products to be harmful. And this is from an isolated synthetic molecule, which is far more prone to cause adverse effects than a balanced essential oil with all of its natural constituents. 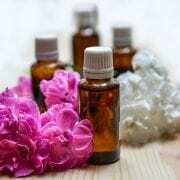 Increased levels of ozone-terpene reaction products have also been observed in spas where essential oils were frequently used during massages and other treatments. (12) This is not surprising considering the amount of essential oils that could be used in a single day in a busy spa. By the end of a day, hundreds of drops of essential oils could have been used during spa treatments. But, remember all chemicals — even water — are dangerous at too high a concentration, and the research thus far suggests that the oxidation of terpenes does not reach levels considered unsafe. In addition, spas often offer other services that produce harmful chemicals like nail care, hair dyes, make-up treatments, and more. The bottom line is that reasonable diffusing and use of essential oils is not likely to create enough oxidation products to be harmful to human health. The vast benefits of diffusing essential oils far outweigh the minimal risks of producing oxidation products. However, certain populations — children, the elderly, people who are obese, diabetics, and people with chronic respiratory diseases should be more cautious when diffusing essential oils. In addition, it is prudent to take steps to reduce the risk of forming terpene oxidation products. and increasing the number of indoor plants in your home. (1) Nazroff WW, Weschler CJ. Cleaning products and air fresheners: exposure to primary and secondary air pollutants. Atmos Environ. 2004;38:2841-65. (2) European Collaborative Action. Urban air, indoor environment and human exposure, report No. 26: Impact of Ozone-initiated Terpene Chemistry on Indoor Air Quality and Human Health. 2007. (3) Wang B, Lee SC, Ho KF, et al. Characteristics of emissions of air pollutants from burning of incense in temples. Hong Kong Sci Total Environ. 2007;377:52-60. (4) Waring MS, Wells JR, Siegel JA. Secondary organic aerosol formation from ozone reactions with single terpenoids and terpenoid mixtures. Atmos Environ. 2011;45:4235-42. (5) Waring MS. Secondary organic aerosol in residences: predicting its fraction of fine particle mass and determinants of formation strength. Indoor Air. 2014;24:376-89. (6) Pathak RK, Salo K, Emanuelsson EU, et al. Influence of ozone and radical chemistry on limonene organic aerosol production and thermal characteristics. Environ Sci Technol. 2012;46:11660-69. (7) Nojgaard JK, Christensen KB, Wokoff P. The effect on human eye blink frequency of exposure to limonene oxidation products and methacrolein. Toxicol Lett. 2005;156:241-51. (8) Wolkoff P, Clausen PA, Wilkins CK, et al. Formation of strong airway irritants in terpene/ozone mixtures. Indoor Air. 2000;10:82-91. (9) Wolkoff P, Clausen PA, Larsen ST, et al. Airway effects of repeated exposures to ozone-initiated limonene oxidation products as model of indoor air mixtures. Toxicol Lett. 2012;209:166-72. (10) Geiss O, Giannopoulos G, Tirendi S, et al. The AIRMEX study VOC measurements in public buildings and schools/kindergartens in eleven European cities; Statistical analysis of the data. Atmos Environ. 2011’45:3676-84. (11) California Air Resources Board and the California Environmental Protection Agency: California Air Resources Board Research Division Indoor Air Chemistry: Cleaning Agents, Ozone and Toxic Air Contaminants. 2006 Apr. (12) Hsu DJ, Huang HL, Sheu SC. 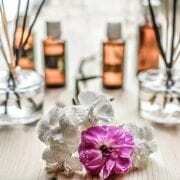 Can Aromatherapy Produce Harmful Indoor Air Pollutants? Environ Engineering Sci. 2011 Oct.
http://authorscott.com/wp-content/uploads/2016/06/essential-oils-1433694.jpg 4000 6000 Scott A. Johnson http://authorscott.com/wp-content/uploads/2016/06/Left_header_4.png Scott A. Johnson2016-06-10 14:12:482016-06-10 14:12:48Diffusing essential oils: Harmful or beneficial to human health?